BIG FISH, a new musical based on the novel by Daniel Wallace and the 2003 Columbia Pictures film written by John August, will star Norbert Leo Butz as Edward Bloom, and have its pre-Broadway world premiere at Chicago’s Oriental Theatre (24 West Randolph Street) in a limited 5-week engagement beginning performances Tuesday, April 2, 2013, opening Sunday, April 21, 2013, and playing through Sunday, May 5, 2013. 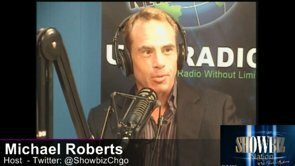 Tickets on sale Monday, February 4, 2013. BIG FISH is directed and choreographed by five-time Tony Award winner Susan Stroman, with music and lyrics by Grammy and Tony Award nominee Andrew Lippa, a book by Grammy and BAFTA Award nominee John August, scenic design by Drama Desk and Outer Critics Circle Award winner Julian Crouch, costume design by five-time Tony Award winner William Ivey Long, lighting design by two-time Tony Award winner Donald Holder, sound design by Los Angeles Drama Critics Award winner Jon Weston, with projection design by Drama Desk Award winner Benjamin Pearcy for 59 Productions. Big Fish is produced by Dan Jinks, Bruce Cohen and Stage Entertainment with Roy Furman, The Nederlander Organization, John Domo and Broadway Across America. Tickets for Big Fish at the Oriental Theatre range in price from $33-$100. A select number of premium seats are also available for many performances. Tickets are available now for groups of 15 or more by calling Broadway In Chicago Group Sales at (312) 977-1710. Tickets are available at all Broadway In Chicago Box Offices (24 W. Randolph St., 151 W. Randolph St., 18 W. Monroe St. and 175 E. Chestnut), the Broadway In Chicago Ticket Kiosk at Water Tower Place (845 N. Michigan Ave.), the Broadway In Chicago Ticket Line at (800) 775-2000, all Ticketmaster retail locations, and online at www.BroadwayInChicago.com. 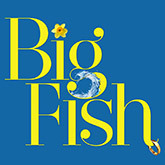 Big Fish is part of Broadway In Chicago’s 2013 Spring Season, which is currently on sale through January 7, 2013. Julian Crouch (Scenic Design). On Broadway Mr. Crouch designed and c0-directed The Adams Family (Drama Desk, Outer Critics Circle Awards). With Phelim McDermott, he recently designed and associate directed Philip Glass’ Satyagraha, in collaboration with the English National Opera and the Met, as well as the Met’s 125th Anniversary Gala. As co-founder of London’s Improbable Theatre with McDermott, the two collaborated on the international sensation Shockheaded Peter. Other Improbable productions include Animo, 70 Hill Lane, Lifegame, Coma, Spirit, Sticky, Cinderella, The Hanging Man, Stars Are Out Tonight and The Wolves in the Walls. Designs include Dr. Faustus, Improbable Tales, The Servant of Two Masters, The Hunchback of Notre Dame, Jerry Springer: The Opera, A Funny Thing Happened on the Way to the Forum and Dr. Atomic at the Met. He is designing the set and costumes for Christopher Wheeldon’s Cinderella (Dutch National and San Francisco Ballets). Jon Weston (Sound Designer) Broadway: How To Succeed In Business Without Really Trying; 13; LES MISERABLES; The Color Purple; The Glass Menagerie; Caroline, or Change (AUDELCO Award); Nine; Imaginary Friends; Thoroughly Modern Millie; The Green Bird; It Ain’t Nothin’ But the Blues; On the Town; Company (Lincoln Center); Man of La Mancha. Off-Broadway/regional: Death Takes A Holiday (Drama Desk nomination); Bloodsong of Love: The Rock ‘n’ Roll Spaghetti Western; Wonderland; Parade; The First Wives Club; Rooms…; A Little Night Music (LA Drama Critics Award); Himself & Nora; The Thing About Men; tick, tick…BOOM! ; Bright Lights, Big City; Family Guy, Live!. 59 PRODUCTIONS (Projection Design) specializes in the design and integration of film and projection technology into live performance and artistic environments including theatres, concert venues, galleries and museums. Recent work includes: Messiah (Opéra de Lyon); London 2012 Olympic Opening Ceremony; Night Train; Al Gran Sole Carico D’Amore; The Enchanted Island (Met Opera); War Horse (Toronto/Lincoln Center/NT); Dark Sisters; Dr Dee; Two Boys (Met Opera); Satyagraha (Met Opera); Five Truths; Fink ‘Perfect Darkness’ world tour; Roald Dahl’s ‘Twisted Tales’ (Lyric Hammersmith); Beauty and the Beast; Invitus Invitam (Royal Ballet); Duke Special: Steiglitz, Steichen Strand Tour; The Goldberg Project (Royal Ballet); Fräuleine Julie; Jonsi ‘Go’ World Tour; LES MISERABLES World Tour; Idomeneo, The Pearl Fishers and Messiah; Thyestes; Al Gran Sole Carico D’Amore (Salzburg Festival); Wunschkonzert; 125th Gala Anniversary (Met Opera); After Dido (Young Vic); Waves (Lincoln Center); Dr Atomic (Met Opera); The Minotaur and Salome; Cherry Blossom; Dorian Grey; …some trace of her; Seven Deadly Sins (Royal Ballet); Attempts on Her Life; Roam; Sweet Fanny Adams in Eden. Forthcoming work includes: Two Boys at the Metropolitan Opera and Feast (Young Vic).